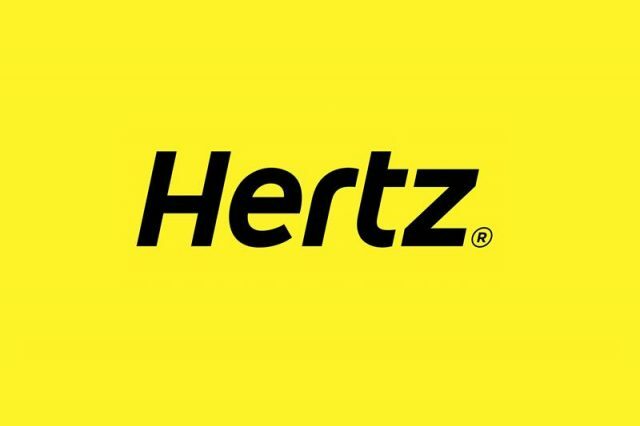 Hertz is another example of a thriving Australian business. Built on dedication to customer service, uniforms play a particularly important role. 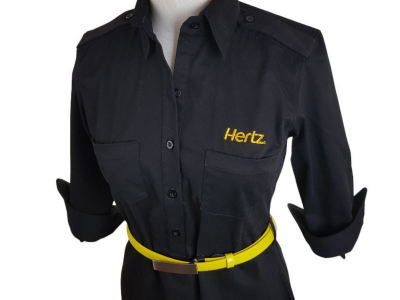 The office staff is a critical part of the Hertz workforce and so they needed a uniform to match. 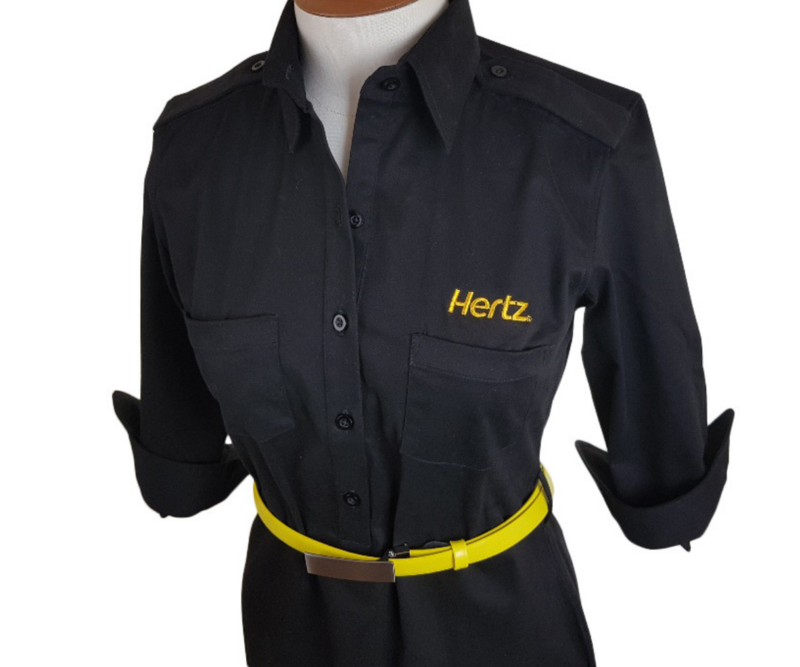 Hertz relies on this particular group of staff for engaging clients and increasing brand likability. Therefore, it is essential that they look well presented, subtly branded and comfortable. 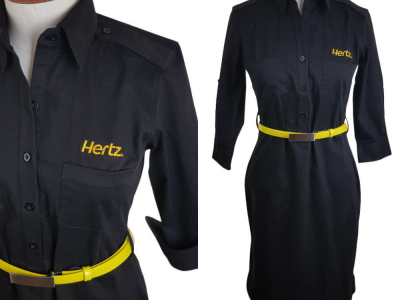 Hertz needed a uniform for the female staff who work in the many Hertz offices across the country. The brief was a shirt-dress, appropriate for office wear, that coordinated with the brand’s colours. 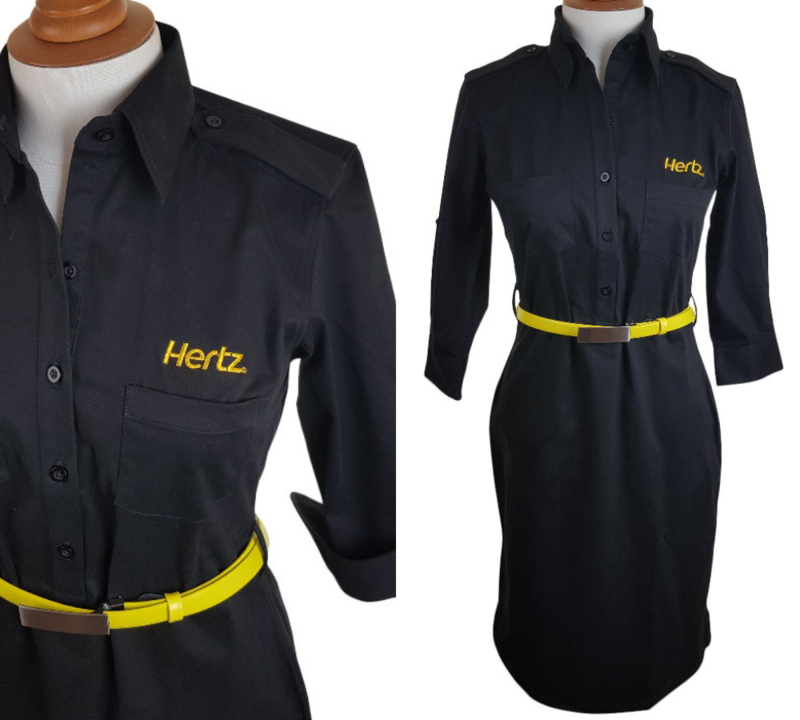 Hertz needed a vibrant uniform which could be worn comfortably by a wide range of female employees. The Uniform Edit is an expert in flattering and comfortable shirt-dresses. This is an increasingly popular option for uniforms, for obvious reasons. Feminine and a great combination of corporate and relaxed, this dress is extremely practical. That is why it worked so perfectly for Hertz reception staff – it allows them to give a great first impression and retain comfort for long days behind the desk. The Uniform Edit chose a half-button up style, closed from the waist down, to ensure an appropriate look for the corporate environment. This style is flattering on a wide range of body-types, creating a smooth silhouette and ensuring modesty. The dresses are made from a luxurious cotton stretch sateen, a flattering and practical fabric which allows for movement. They are easy to add layers such as jackets and cardigans too, depending on the season. 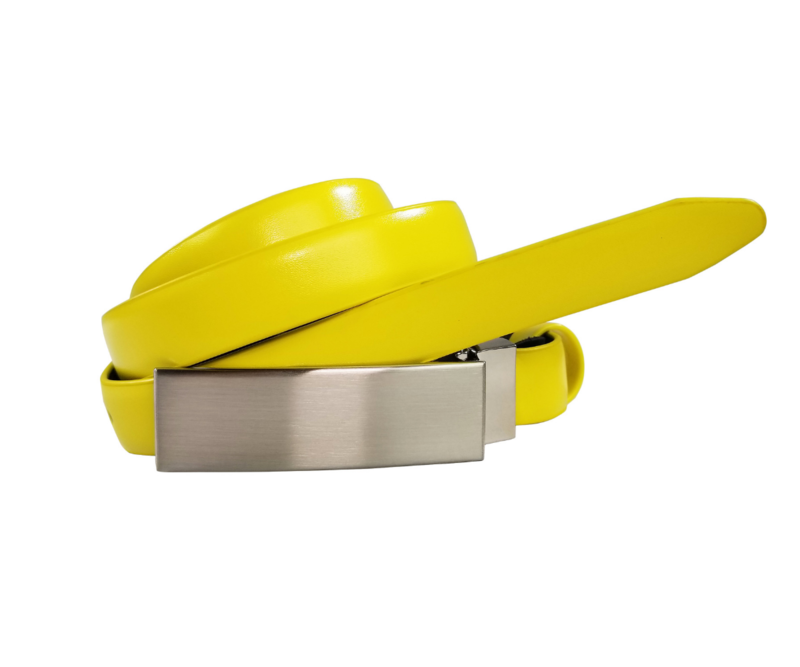 To incorporate the bright yellow branding, the dresses have a yellow logo and a fun yellow belt. Hertz has a distinctive colour scheme which was important to include. Yet, a completely yellow uniform would have been unflattering on many people and overpowering. The shirt dress is a contemporary and feminine look – with just a touch of fun-loving! It is a style which expresses youthful energy and professionalism. 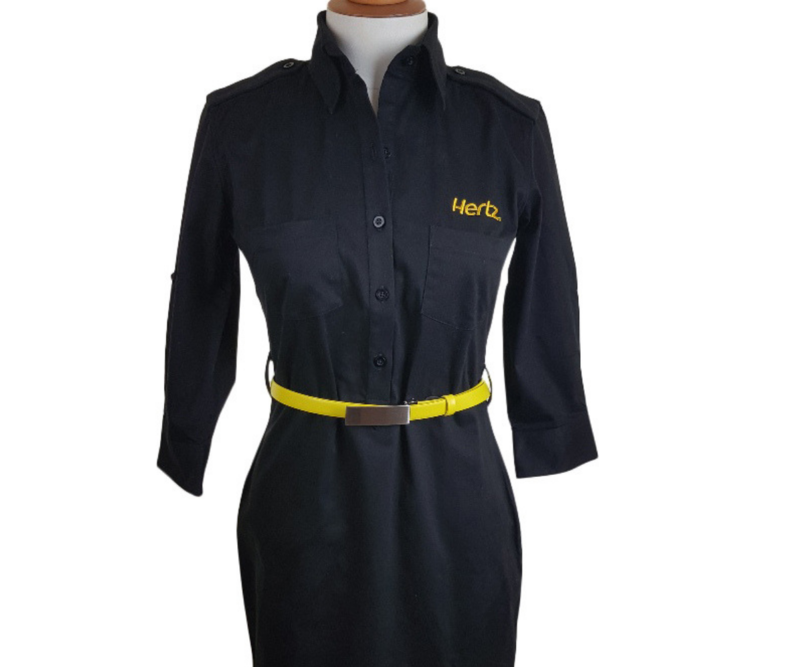 Adding splashes of bright colours through embellishment and accessories is a great choice which worked well for the new Hertz uniform. 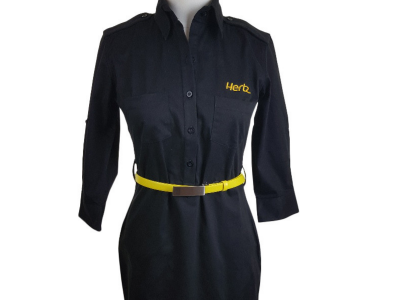 The Uniform Edit looks forward to seeing the Hertz staff look polished and professional in their newly designed shirt dresses.